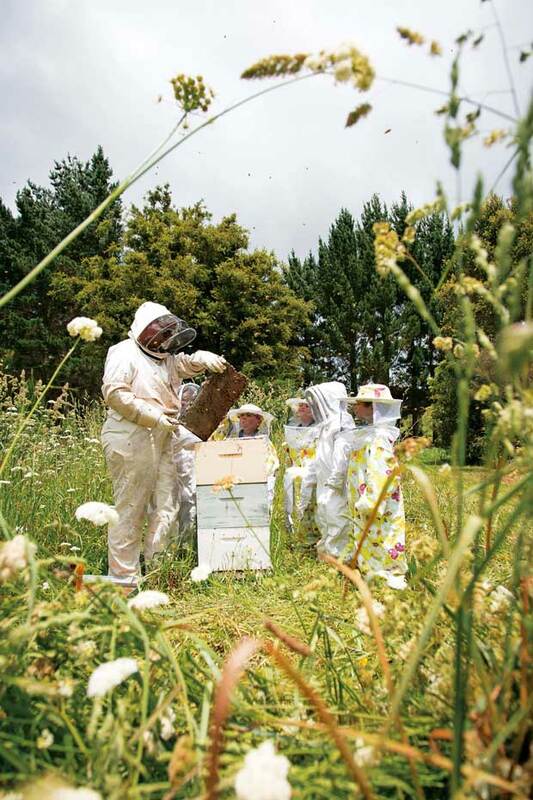 Volunteers from the Whangarei Bee Club and local beekeepers have helped students of all ages to care for their own hives. Honey and honey-based products are sold at the local farmers’ market. 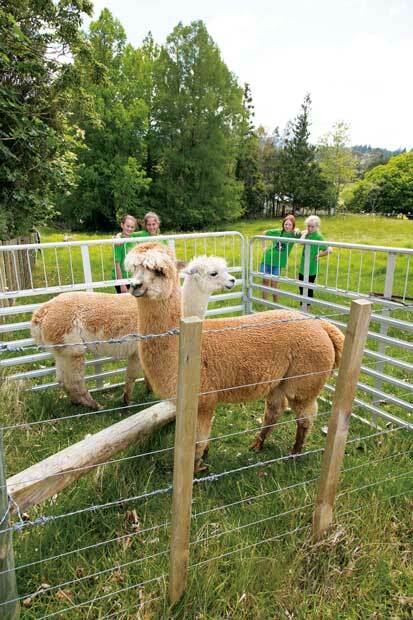 Most of the students have cattle or sheep at home, so the unique alpaca were a popular choice. Preserving the fruit from the school’s orchard using a dehydrator purchased from their profits. Alpaca fibre is turned into felt. Every practical step has a learning component. Students have learned practical gardening skills, but also about real world enterprise. There are no behavioural issues with students says principal Bastienne Kruger, because the children are learning with a purpose. The students learn to support each other. 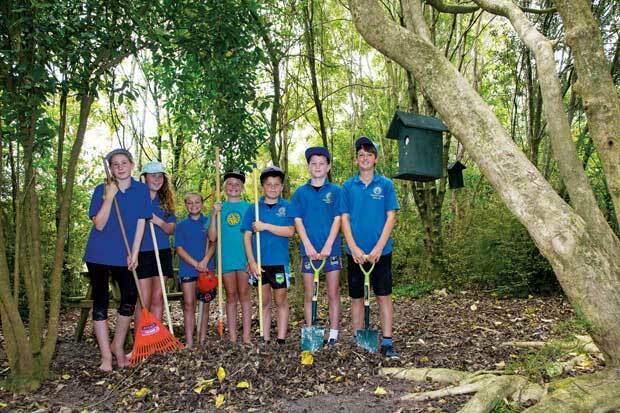 When a small Northland school was faced with the problem of what to do with their too-large grounds, a bunch of enterprising students came up with their own international award-winning solutions and everyone is now reaping the benefits. 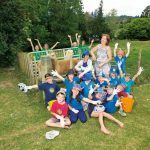 Two years ago, Hukerenui School had a block of land that wasn’t being well used. Much of the area was out of bounds for the children and the school’s caretaker was spending hours mowing all the excess grassy space. 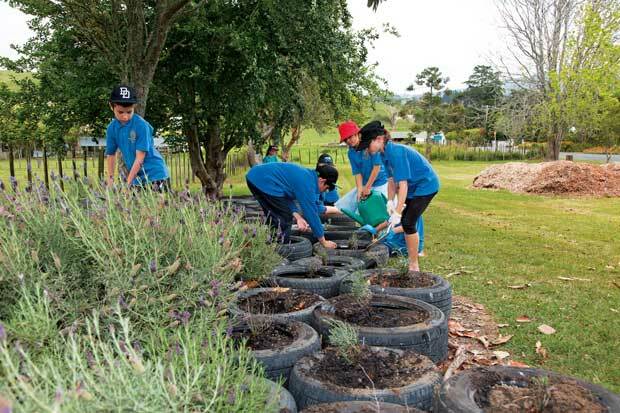 That’s when a group of Year 6 students had a brainstorming session and came up with a variety of agricultural and horticultural projects which would make best use of the land and provide real-life learning opportunities for the entire school. 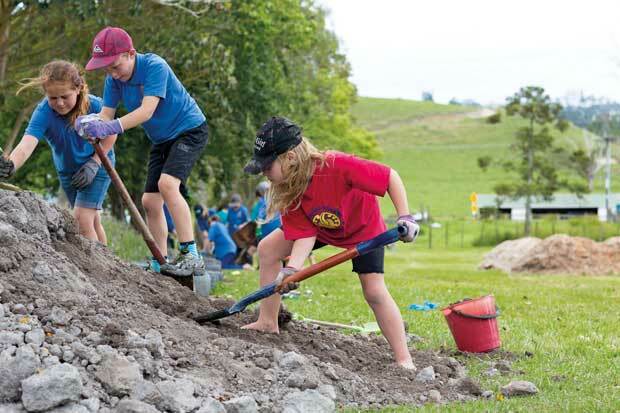 Since then, helped by an enthusiastic local community, the Hukerenui students have grown and sold maize, reclaimed a plot of native bush, planted lavender gardens, made natural remedies, developed the existing beehives and used the beeswax and honey to produce balms, planted an orchard, and developed a paddock where they now graze alpacas. 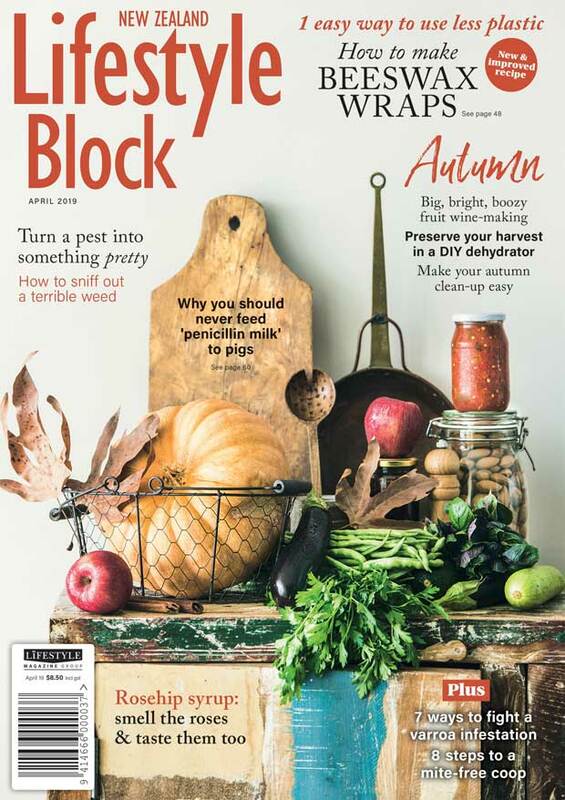 They collect alpaca poo for their budding fruit trees, make fragrant hand creams and lip balms from their own lavender and manuka, and learn about sustainability and social enterprise in a totally hands-on way. The list of projects initially proposed by the students was ambitious by anyone’s standards, but every one of their ideas has been successfully incorporated into the school’s curriculum, and they are now using 71% of the land effectively for education. 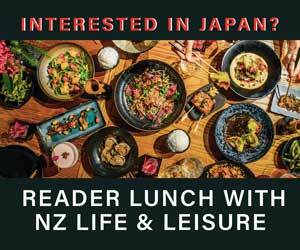 The dynamic principal at Hukerenui School Bastienne Kruger. 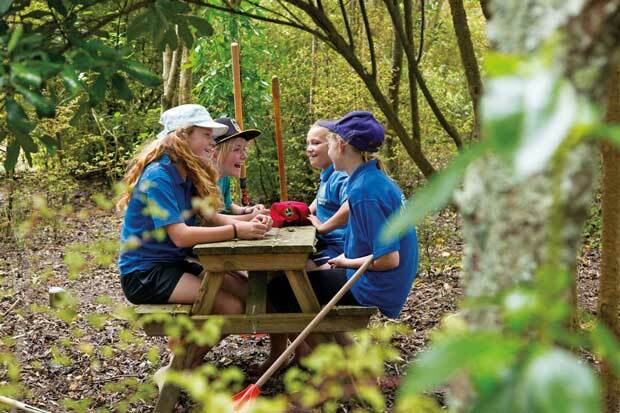 Hukerenui principal Bastienne Kruger is a visionary and dynamic leader, but she says the bulk of the work was undertaken by four girls who formed the school’s Community Problem Solving Team, which is part of New Zealand’s Future Problem Solving Programme for the gifted and talented. The girls came up with the concepts and then managed every single step along the way, from organising the maize contractors to preparing teaching resources, lesson plans and teaching classes. Problem solvers Eliza Rockell, Katie Barnes, Jasmine Hayes and Makenna Purvis, along with coach Bastienne have been well-rewarded competitively for their efforts. 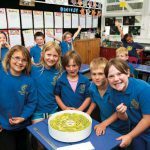 They won the Future Problem Solving National Finals in Auckland, then raised $35,000, flew to America in June 2015 to compete at the International Finals, and were named overall grand champions of the primary school division. “I had 12 in my team to start with, but ended up with just those four girls remaining, because it’s such a big job and it’s so hard,” says Bastienne. 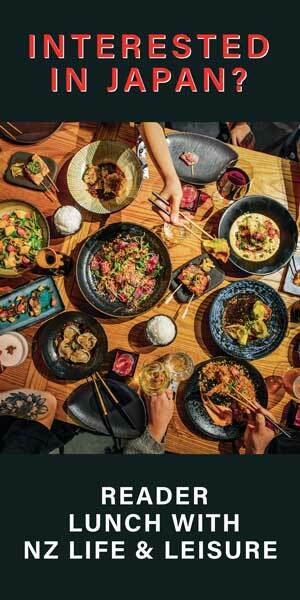 “It was stunning they did all of that in one year. They worked holidays, weekends and there were some tears, especially getting ready for the competition. The first, world-beating Community Problem Solving Team, from left: Katie Barnes, Makenna Purvis, Jasmine Hayes and Eliza Rockell. 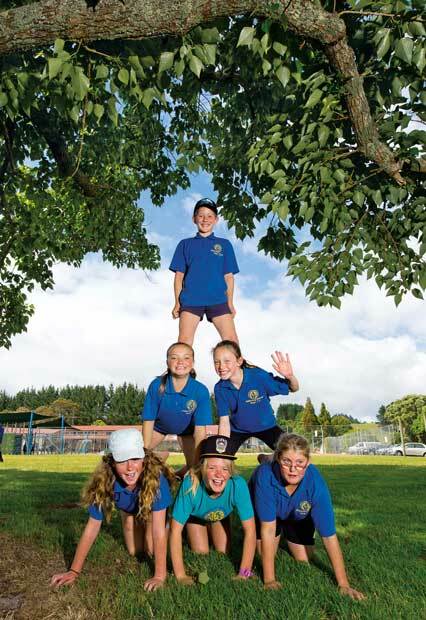 Hukerenui School has about 100 students from Years 0-8. Arrive early on a spring morning and there are immediately visible signs that this isn’t your average primary school. A bunch of students are clustered in the garden picking lavender to start their day. The lavender will be turned into hydrosol and essential oil in the school’s own still, and then made into hand-cream by students for their end-of-year market day. The market day, where students sell products they’ve made, is another of the problem solvers’ solutions, providing learning opportunities around enterprise as students focus on cost, profit and advertising. 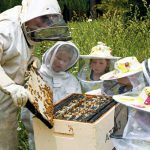 Besides the lavender pickers, there is an adorable group of new entrants dressed in bee-keeper suits, watching as bees are smoked in the school’s hive, eagerly looking for larvae and evidence of honey being produced. A group of Year 2 boys and girls who’ve just learned how to make felt from the alpaca fibre have donned gloves and are scooping up alpaca poo for the orchard. 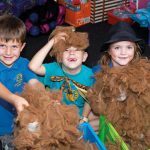 It makes your heart soar to see all these young students happily engaged in their learning, whether they are weeding grass out of the maize crop or attempting the challenging task of turning alpaca fibre into balls of wool on the school’s spinning wheels. There is none of the usual sweaty feet smell in classrooms; instead, delicious scents of manuka and lavender linger in the air. 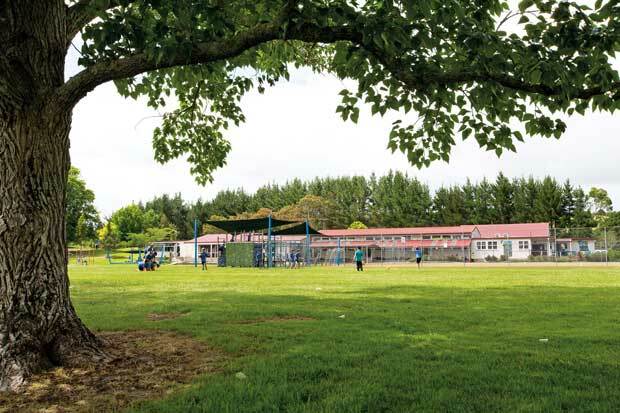 Hukerenui School has about 100 students. When it came to the animal enclosure, students were surveyed about the type of animals they’d like to keep. While at first they wanted a whole zoo, in the end they settled on alpacas because they don’t eat a lot of grass. They are also gentle, except for their tendency to spit when disgruntled which had the girls pulling faces and shrieking with laughter during our photo shoot. 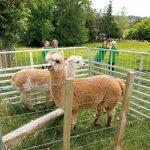 “These are farm girls – they already have cows and sheep at home, so the alpacas were a popular choice,” says Bastienne. 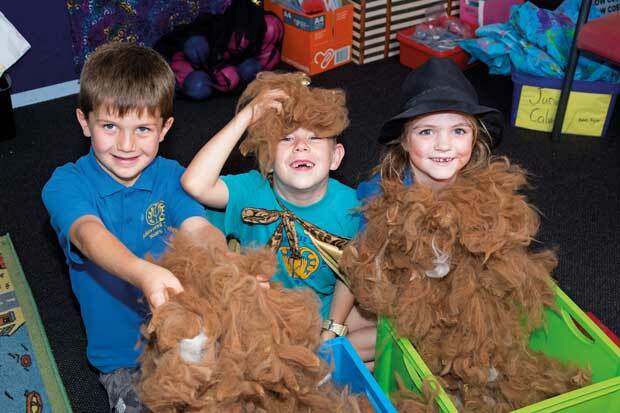 The school started with three borrowed alpacas, Ivan, Ava and Harry. Sadly, Harry died, most likely due to liver damage from facial eczema sustained when he was younger. The whole school attended Harry’s funeral, just as they attended Ivan’s castration where the vet talked them through the whole process. 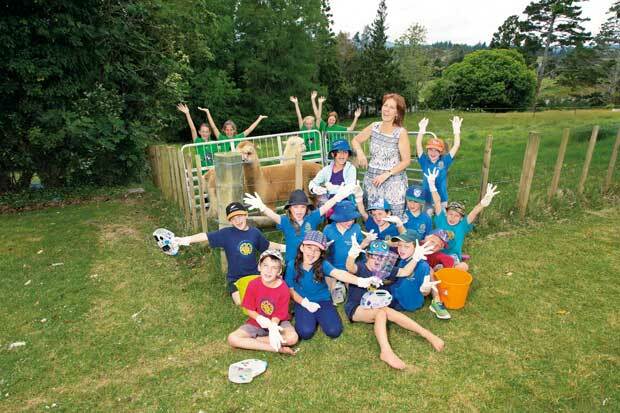 The school didn’t intend to own animals in the beginning, borrowing the alpacas, but they have since bought them. “We’ve found the alpacas are quite easy to keep. When I asked the children a little while ago whether we wanted to give the alpacas back and try something new they said no, they wanted to keep the alpacas. When I asked them why, they said because it would be awful if a sheep walks over Harry’s grave!” says Bastienne. 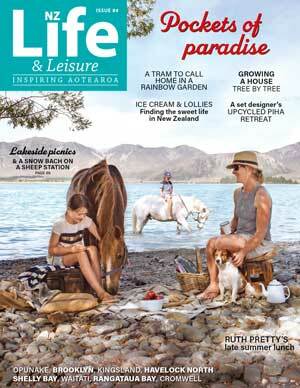 An added bonus is that the alpaca poo makes wonderful fertiliser for Hukerenui’s young fruit trees. Unlike cow or horse manure, it doesn’t need to be aged and can be spread directly onto the plants without burning them. 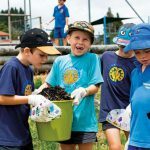 The orchard is still young, but the trees have been carefully fed, weeded and mulched, and the students have already harvested mandarins, peaches, lemons, guavas and some olives, with classes making lemonade ice-blocks and dried fruit from the produce. 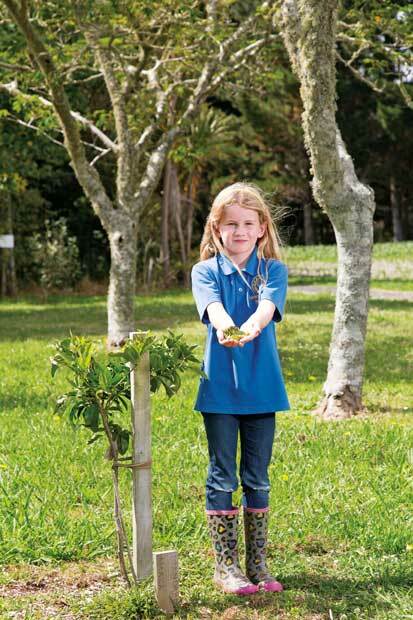 Once the 12 varieties of fruit trees are in full swing, the intention is to provide fruit for the on-site technology centre, which is used by six other schools in the area. In the meantime, the fruit trees provide a wonderful opportunity for students to learn about different pests and diseases. Weed control in the maize crop. One of the first projects the problem solvers tackled was planting their maize crop. Initially, they wrote to Pioneer Seeds, who told them contractors wouldn’t come to work on such a small piece of land. “We were not impressed, we thought we had enough!” says Katie, who acted as caretaker for the maize. “But we leased another 5ha, dealt with the contractors, sorted pests and fertiliser, learned howto pray for rain and then luckily sold it for a profit. “Finding sponsors and experts really challenged us – finding them, writing to them, figuring out what to say, and phoning, which was the absolute worst, visiting and being the squeaky wheel until they said yes. Watching the contractors when they were spraying out, spreading fertiliser and planting the seeds with their enormous machines was fantastic for the whole school. The school is now in its third year of growing maize, and students from Years 6, 7 and 8 have gone about the business of becoming maize farmers, creating the A-Maizing Maize Company. 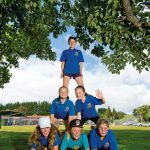 Besides managing the maize on their leased land (the initial 5ha, plus more recently another 2ha), they have also established a science trial on the school grounds where they measure the yield and quality of eight Pioneer-brand maize hybrids that haven’t been planted in New Zealand before. Bastienne says the school makes around $5000 from its maize crop, although potentially the profit could be up to $20,000. The money has been used to fund equipment, such as the spinning wheels, a still to extract essential oils and a food dehydrator. 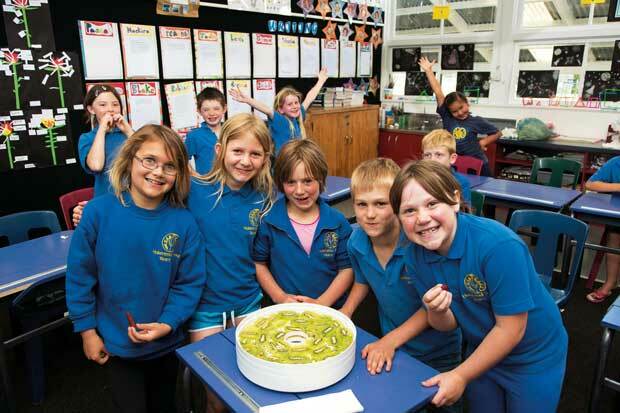 “The intent wasn’t to make heaps of money – it was to make some money for learning,” she says. “We started the maize crops with all different kinds of people helping us, and the next stage is how do we develop this so we give back to the community? It’s starting to happen already as we’ve leased an extra 2ha to grow more maize so we can pay those contractors. 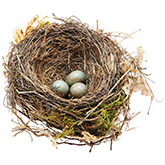 That’s social enterprise coming full circle,” explains Bastienne. 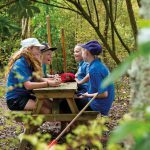 It wasn’t all plain sailing for the problem solvers when they were getting the programme off the ground, and they’ve learned plenty from their mistakes along the way. 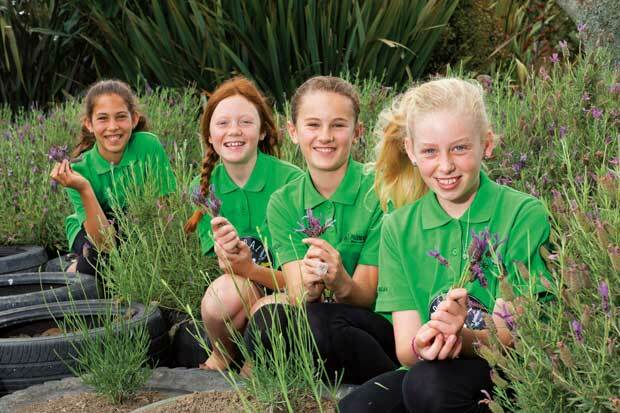 They nearly killed their first lot of lavender, when they planted it in too-rich topsoil. “One of the main challenges was just getting the lavender to survive,” says Eliza, who is caretaker for the lavender gardens. For Eliza, the most rewarding part of the project has been finding activities for the classes to do and teaching students how to make products. Similarly, corn caretaker Katie says they nearly killed their first crop of maize when her class was too heavy-handed with their urea application; they had to save the plants by watering them every day and scraping all the urea away. The students killed off their first lavender cuttings, but are learning better propagation techniques. 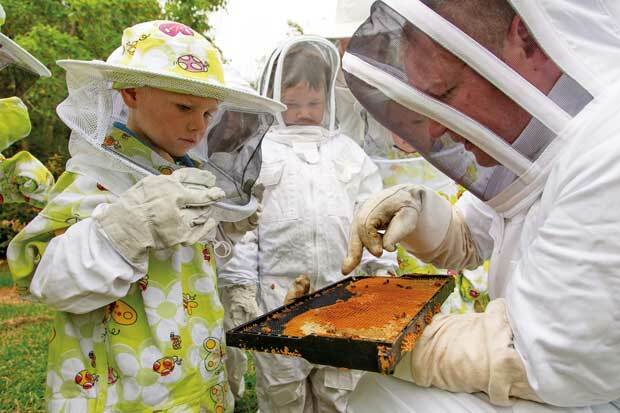 Another setback came when both of the school’s beehives died because the queen excluder wasn’t taken out. The excluder stops the queen from laying eggs in the honey supers, providing cleaner honey, but if it is not removed in autumn, the queen is prevented from moving upwards with the cluster to keep warm and dies from exposure. 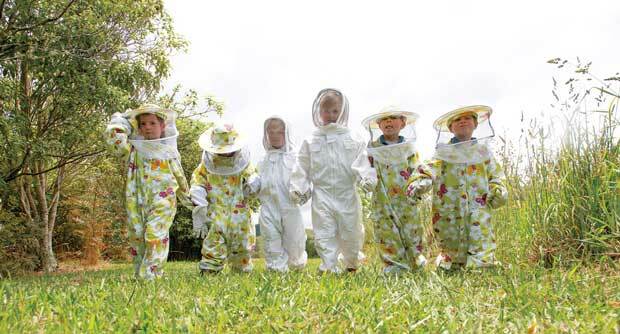 The death of their queens over winter spelled doom for Hukerenui’s hives, and Makenna, as caretaker for the bees, was terribly upset. 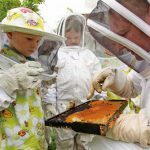 “She was in tears, because the bees fed into so many other things we were doing, such as the lavender and the manuka we use to make our hand-creams and balms. I said you can’t lie about it, you have to write about it in the project: here’s what happened and this was your solution,” says Bastienne. 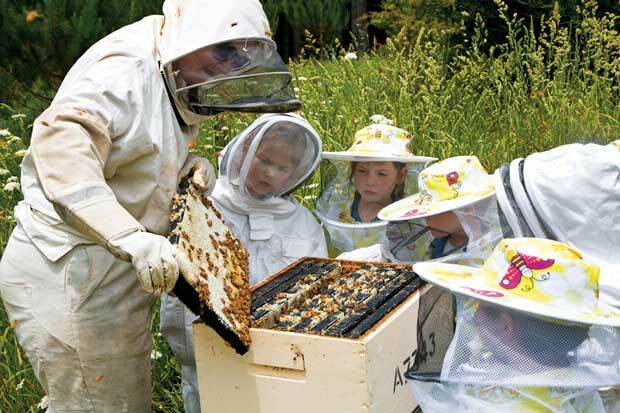 Luckily, one of the school’s experts from the Whangarei Bee Club was able to give them another hive and last year it produced 21kg of honey. 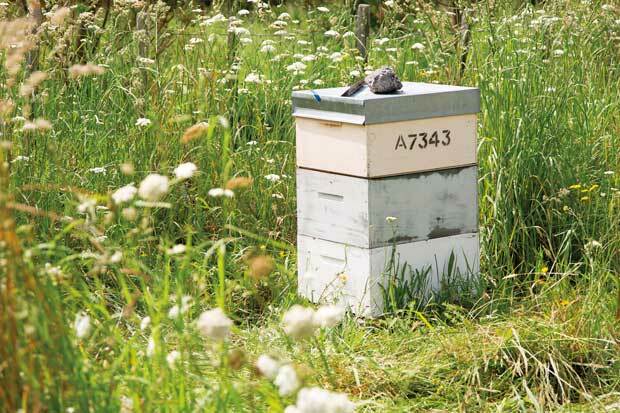 Demand for the school’s honey has outpaced supply, and they are hoping to get another hive. 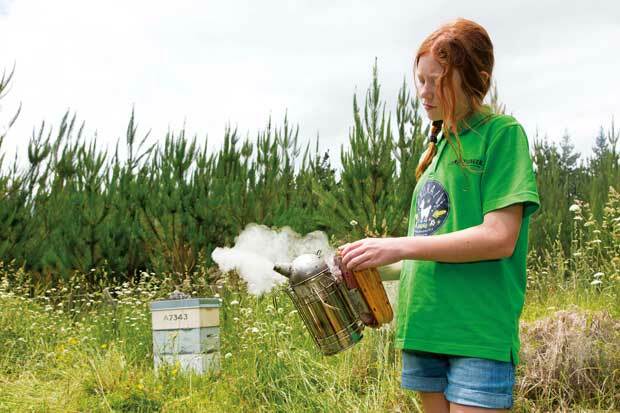 The manuka balm is another popular seller and is also used in the school for the children’s mozzie bites. “The Year 1s call it the magic balm,” laughs Bastienne. One of the biggest benefits of the project for this small rural school has been strengthening ties with the local community. 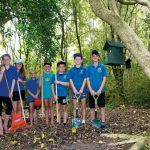 The problem solvers have enlisted the help of more than 30 experts and sponsors who provide their time and expertise for free, including members of the Whangarei Bee Club, local farmers, contractors and merchants. 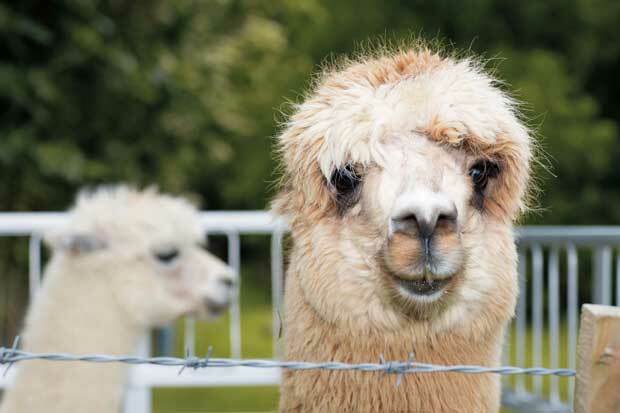 Jocelyn Yeoman, who supplied the school’s alpacas, is also a member of the school’s Board of Trustees. “When I saw what Bastienne was doing, I was absolutely thrilled that we had a principal who had the vision and determination to get everybody involved. 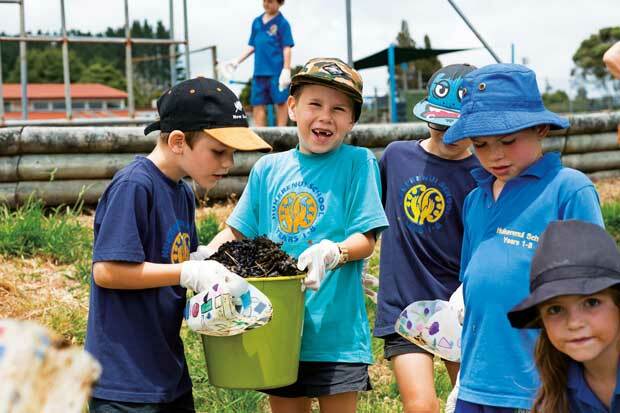 It’s now a huge community project and a great thing for the school,” says Jocelyn. Bastienne agrees that the local community’s investment in the school has been one of the most positive outcomes of the project.